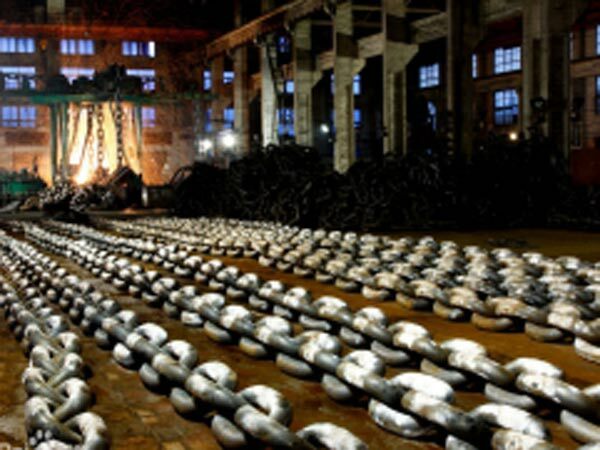 Anchor chain, also known as anchor line or anchor chain cables, is the chain used to connect anchor and ship’s hull to transfer and buffer the external force suffered by the ship, and it also can generate friction. 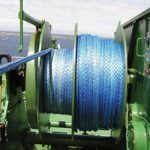 Classified by steel grade, there are AM1, AM2 and AM3 for ship chain, and R3, R3S, R4, R4S and R5 for mooring chain cable. The anchor chain is divided into three grades in traditional sense, nowadays there are five more grades with the continual development, and they are R3，RQ3，R4，R4+，R5. The anchor line accessories include Kent shackle, connecting shackle, A type swivel shackle, B type swivel shackle, end shackle and swivel. Anchor hooking something at sea bottom is the basic requirement for the anchor chain to function. If the chain cable is not long enough, the anchor will not work. If the sea bottom is flat or the things the anchor hooks are not fixed or the hooking is not strong enough, there may be some risks, for example, if the sea is rough with strong waves, the anchor cannot hook the things and it will not function, which is call “anchor dragging”, and during anchorage, it’s dangerous for the ship if anchor dragging happens. During anchoring operations, in general the main engine of the ship stops to work, if the ship sets sail immediately, it needs time and it’s dangerous for the ship to drift forward and backward without power; therefore, there is the saying of anchorage or anchoring zone, in other words, the sea bottom is rough and it’s safe for anchoring. The anchor chain weight can be ignored for the ship, and the friction will not help much. Generally speaking, the anchor chain is straight when the ship is in the process of anchoring, and the friction effect can be ignored at this time. For some small fishing boats, they adopt thick rope as anchor line. Seen from the ship, the anchor chain is straight, however, a length of the chain is almost parallel to the seafloor (actually it is close to the sea bottom) under the water. The anchor provides holding power and then transfers the power to the ship through anchor chain to resist the influence of external load from current, wind and waves on positioning. There is the length of the chain close to the sea bottom because of force influence. If the anchor and the anchor line are straight under the water, the anchor will be easy to drag because of pulling. The anchor chain consists of many links connecting with each other, and it’s expressed with chain diameter (mm). There are studlink and studless chains. 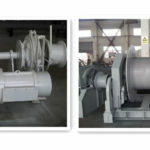 The chain cable can be manufactured with cast, forging and welding ways. 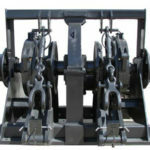 The ship chain line comprises some shackles, and the length of each shackle is in the range of 25.0 – 27.5m, the shackles are connected with links or shackles. 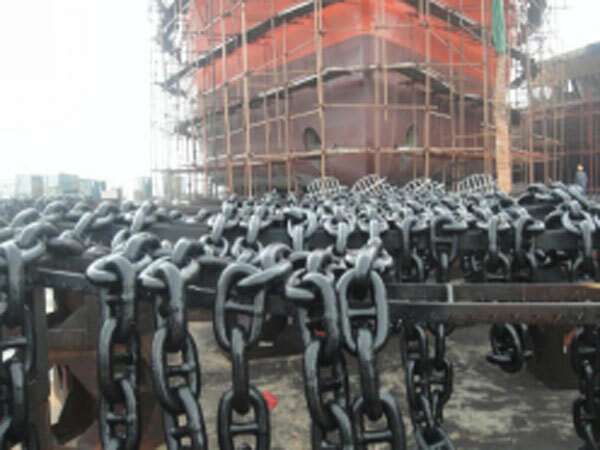 After the anchoring, the anchor chain is stored in bow chain locker. 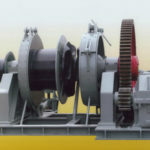 The specification of the chain cable is calculated and determined according to ship building standards. 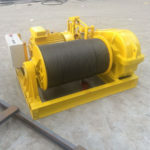 Ellsen supplies and customizes different types of marine anchor winches according to anchor line with different diameters, and the range can be from ø12mm to ø128mm. 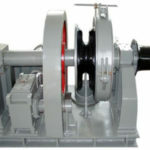 You can get more information about our marine winch used for anchoring operations.